The Port Rocks on Sunday 28-February looks like it’ll be a party like no other! 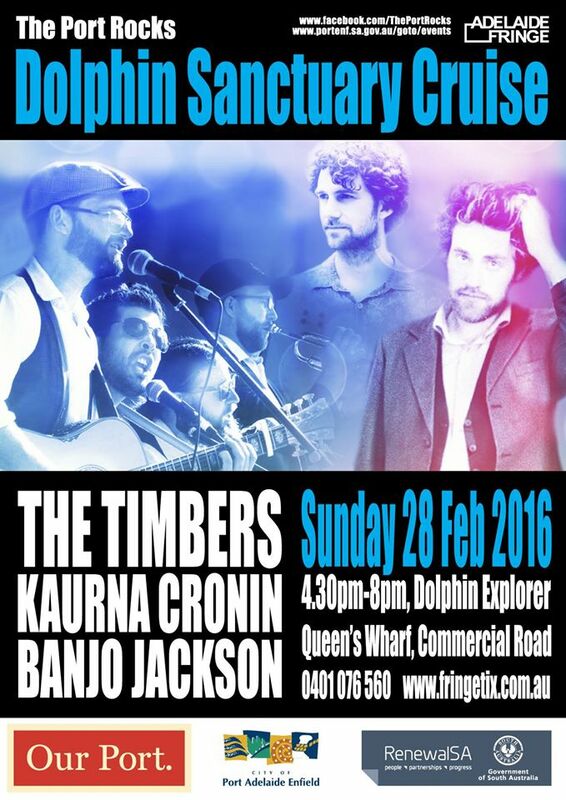 Rockabilly, Rock’n’Roll, Indie Rock and Folk acts in Heritage Pubs down in Port Adelaide, followed by a cruise on the Dolphin Explorer where you’ll see The Timbers, Kaurna Cronin and Banjo Jackson perform. Of course we have a heap of FRUSIC picks for the week ahead, and our top picks are highlighted with a so make sure you get along to all of them! Hotel Metro – Paul Champion & Sandy Cenin – Do They Know Its Not Christmas?